What is How to FAU? Students who attend How to FAU can expect to build greater confidence in their abilities to successfully access and utilize on-campus resources in academic, leadership development, and career readiness areas. Much like New Student Orientation, attendance for How to FAU is required for all first-time, first-year students and recommended for transfer students during their first semester at FAU. Download the Guidebook mobile app version to access the How to FAU schedule. Search for "FAU New Student Orientation"
Is How to FAU required? All days of How to FAU events are required programs and attendance is integral to your transition to the University. Students will swipe into events with their FAU Owl Card and the Office of the Dean of Students will track attendance. The choice to attend is similar to the decisions you make every day of your undergraduate career—whether to attend class or not, whether to meet with your academic advisor or not, or whether to get involved in student activities. Are Check-in and Student Success Events required? 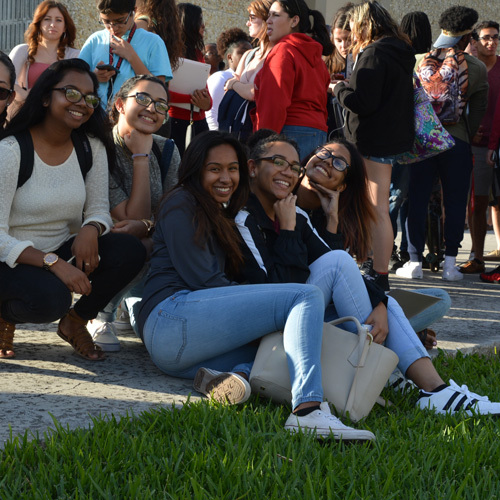 Just like regular class attendance has a positive impact on academic success, attending Student Success Events will enhance your academic experience by helping you get acquainted with FAU and build a sense of community before your first semester starts. How to FAU is the University’s way of ensuring you have a purposeful start to your college journey. Additionally, if you are a student in an SLS course you will have course requirements that How to FAU activities may fulfill. Instructors will require reflection writings to complete the assignments. We know that students who attend How to FAU programs have a greater sense of belonging and higher fall & spring GPAs than students who do not have How to FAU opportunities. We understand that some students may have unavoidable conflicts during How to FAU events and may wish an excuse from some events. If you are in Marching Band or a fall competing varsity sport (Football, Soccer, Volleyball or Men's/Women's Cross Country) you do not need to request an exemption, your schedule is pre-determined based on your practice/competition schedules. Examples of warranted exemptions include, but are not limited to, medical need, dependent childcare, severe illness, unexpected family emergencies and active military duty. Please contact the Office of the Associate Vice President and Dean of Students if you have an unavoidable conflict at deanofstudents@fau.edu. Note: Any student granted an exemption will still be required to participate in certain How to FAU activities, including Convocation, and/or other student success outcome related programming. 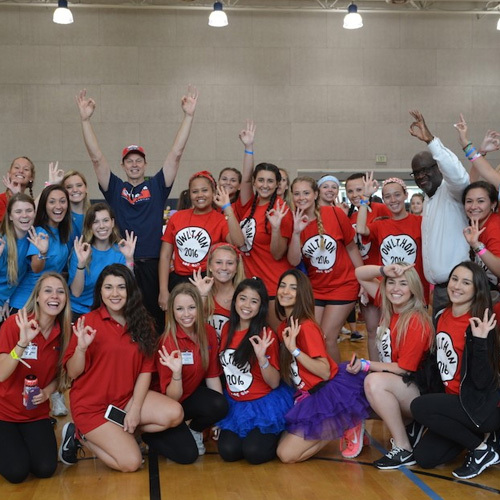 Resident Assistants, Elite Owls and Orientation Leaders will assist you to events once you are on campus. You are responsible for getting yourself to campus. Walking - You will be walking a lot during How to FAU (see Special Accommodations if you need assistance) be sure to wear appropriate footwear. Driving - If you drive to campus, you must apply online (found at MYFAU in Self-Services) for your parking pass on or before Thursday, Jan. 3, to participate in the Campus Check-in event and Student Success Events activities. If you have difficulty with the online process and/or printing your temporary pass, Parking and Transportation Services are available to assist you in the Student Support Services Building (SU-80, Rm 116). You must park in the designated permit areas by color and type of permit. Biking - Be sure you have a secure bike lock and helmet ready for your ride. Learn more about Parking and Transportation Services and parking updates at fau.edu/parking/. Transfer students and admitted first time to college students may access the Spring 2019 housing contract though the Housing Self Service portal. More information can be found at the Housing and Residential Education website. Meals are not provided during How to FAU. Participants are welcome to pack and bring their meals from home. University Dining Membership contracts begin with dinner on Friday January 4. Residential Dining Memberships offer options for dining in the all-you-an-eat Atlantic Dining Hall and Flex Bucks to enjoy dining at many of our a la carte dining locations locations. For more information visit the Dine On Campus Residence Halls page. Commuter Dining Memberships offer options for dining in the all-you-can-eat Atlantic Dining Hall and adding Owl Bucks to an Owl Card. Owl Buck may be used at our many a la carte dining locations. For more information visit the Dine On Campus Commuter page. Pay as you go - Students without dining membership and/or Owl Bucks may pay for meals with cash or credit cards in all of the FAU dining locations on campus. For more information visit the Dine On Campus where to eat page. We value disability as an aspect of diversity and want to ensure that you are able to fully participate in all programming available to you. If you have a disability or health condition, or suspect you have one, and would like have a confidential discussion about accommodations, complete the contact form with Student Accessibility Services (SAS), as soon as possible. Some accommodations may take a few weeks to arrange. You are also welcome to visit SAS in SU-80 Rm 133 at the end of Day 2 of orientation for a brief informational meeting. However, if you would like to register with SAS to arrange formal accommodations, you would need to schedule an initial appointment in advance. If you have a short-term disability (e.g., broken leg) and would have difficulty walking long distances during Orientation, Campus Check-in and/ or Student Success Events, contact the New Student Orientation Office for accommodations at 561-297-2733. Vegetarian options are available at most of our campus dining locations. View the locations. If you are in need of additional dietary accommodations besides vegetarian, please ask to speak with the manager or supervisor at the dining location of your choice. Staff are happy to assist you with nutrition information and will work to accommodate most dietary accommodations when possible. This may mean recommending an alternate campus dining location.